Parking Brake Block Off There are 3 products. 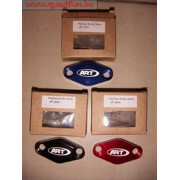 Parking Brake Block Off Plate Blauw. Parking Brake Block Off Plate Blauw. Parking Brake Block Off Plate Rood. Parking Brake Block Off Plate Rood. Parking Brake Block Off Plate Zwart. Parking Brake Block Off Plate Zwart.